The storage drawer attaches under the cart’s primary or supplemental drawer to provide extra storage space. 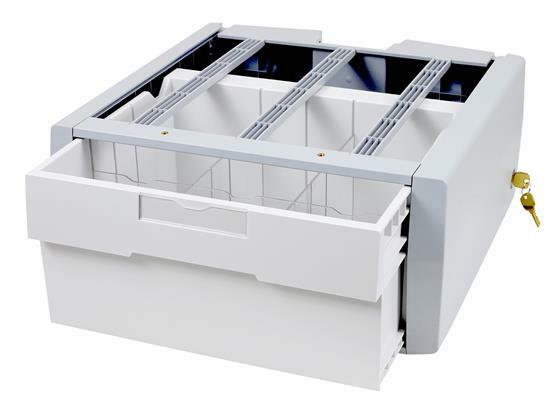 Single version provides one large drawer compartment. This drawer is manually operated (key-lock only). A separately ordered Drawer Travel-Stop accessory is recommended if cart is configured with two or three tall drawer rows.